What Does an Accordion Cost? Jeff’s Law of Accordion Prices: Take what you already know about cars and divide it by ten. What’s a new car cost these days? Maybe $14,000 to $20,000 for a compact car or entry-level sedan? Something like $30,000 to $50,000 for the next step up? Over $100,000 for something really nice and luxurious? Just divide those car prices by ten to get roughly-equivalent accordion prices. $1,400 to $2,000 will get you on the road with a decent, brand-new accordion from, say, Hohner’s “Bravo” line (the Hyundai Accents of the accordion world). A step up from that, such as a full-sized Weltmeister, will put you in the $3,000 to $4,000 range. The high-end brands such as Pigini, Borsini, Petosa, Beltuna, etc., will be over $5,000 new, and often even in the five-figures. 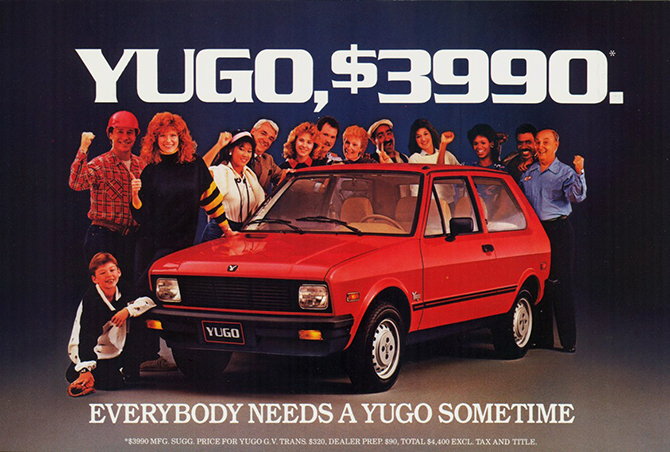 Buying a brand-new accordion priced under $400 would therefore be like buying a Yugo. Okay, so how about a used accordion? The same ten-to-one ratio applies. Buying a $300-$500 used accordion is similar to buying a $3,000 to $5,000 used car. It’ll get you from point A to point B, but probably not in comfort or style. Still, it might not be a bad choice for a “new driver”, especially if you don’t mind the occasional repair bill. That $100 squeezebox at the yard sale? Like a $1,000 used car, only mechanics should buy it. Expect major problems that will cost a lot to fix if you can’t do them yourself.